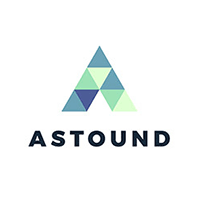 Astound is purpose-built for enterprise service management and automates answers to routine questions, accurately assigns & categorizes incidents, recommends the best resolutions, and delivers predictive analytics. Astound partners with leading enterprise IT software vendors like ServiceNow, Atlassian, and Salesforce to offer out of the box integrations with ITSM, knowledge management, Customer Service Management (CSM), and social collaboration solutions. Astound helps some of the most-respected organizations in the world like McDonald’s and adidas reduce call volume, MTTR and support costs, while improving customer satisfaction. Learn more about Astound at www.astound.ai or follow the company on Twitter @astound_ai.